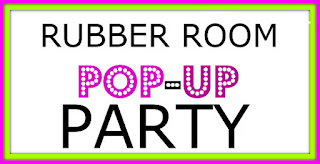 Rubber Room Ramblings: POP-UP PARTY TIME IN THE RUBBER ROOM! 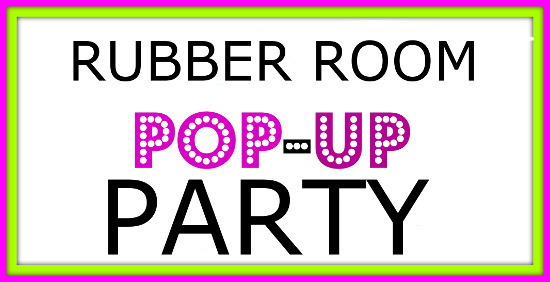 It's Pop-Up Party Time in the Rubber Room! Be there OR... "be square". The Rubber Room is always a wonderfully fun place to be, but this Sunday evening it will be overflowing with fun!! My sale tables are full of retired stamps, punches, framelits, embossing folders and so much more. AND it is BOGO time. When you purchase any item from a sale table, you get to pick an item (of equal or lesser value) out of any current catalog for FREE! AND I am extending Sale-A-Bration! When you purchase $50 worth of goodies, you can pick an item from my SAB table for FREE (while supplies last). AND for each item you purchase from the sale tables you will get a FREE door prize ticket. AND when you make a purchase from the sale tables, you will get your 2016-2017 Annual Stampin' Up! Catalog for FREE! It is going to be a party you do not want to miss! Mark your calendar now and make plans to come and relax; enjoy some chocolate and refreshments (perhaps a glass of wine); spoil yourself with lots of creative ideas; maybe win a door prize; and just treat yourself to a little break before the holiday! This Sunday, May 29th from 6:00 - 9:00 p.m. Please let me know if you plan to stop over or if you have any questions.